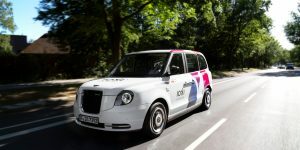 The London Electric Vehicle Company (LEVC) is to lay off 70 temporary employees, according to information from the BBC. Reasons were not given, but it is likely that Brexit has played a role. Councils in West Yorkshire have struck a deal with France’s Engie to install 88 rapid charging stations which will be free to use until late 2021. 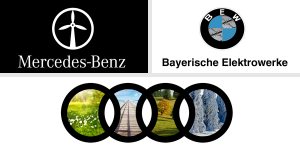 Moreover, each station will reserve a bay for electric taxis and shared electric vehicles. 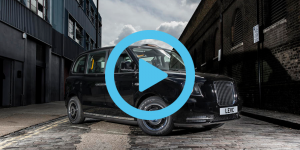 Uber needs their drivers to switch to electric cars in order to continue being able to drive through central London. Therefore the ride-hailing startup that is valued at over 70 billion dollars wants passengers to pay a surcharge. 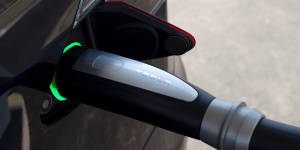 Free access to Tesla Superchargers is increasingly restricted as the number of Tesla electric cars increases. This is true for new owners but also commercial businesses such as chauffeur services. Now, an exception has been made, ruled by a Dutch court. The German aviation startup Volocopter is planning test flights in the centre of Singapore for the second half of 2019. The series of tests will focus on urban flight conditions and will validate the use of an electric aircraft in an urban environment. The next step will then be public demonstration flights. 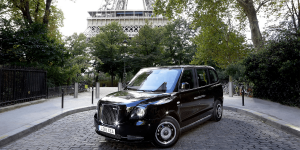 Geely-owned London Electric Vehicle Company (LEVC) will bring its electric taxi with range extender to Paris. 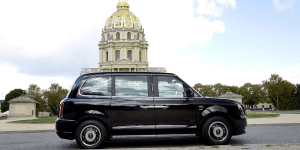 A permit for the black cab has now been granted by the Paris authorities. The French capital is expected to receive the model called TX in the first half of 2019. 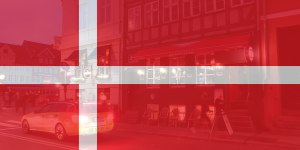 The Danish government presented a new climate action plan with 38 measures, among them the previously leaked ban on the sales of all ICEs by 2030 and hybrid cars by 2035. In addition, the Danes will electrify their entire taxi and bus fleet by 2030 and are ready to spend millions. 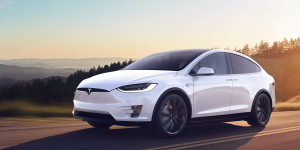 The vehicle refitter Intax is now offering a conversion kit to refit a Tesla Model X into a taxi or rental car. 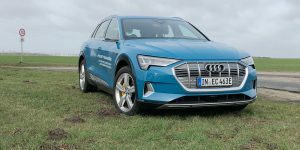 Previously the company had developed a similar packet for the Model S. Furthermore, the company is offering advisory services regarding the Model X for any customers, acting as a stand-in for Tesla. China’s major new energy vehicle maker BYD is heading into Thailand. 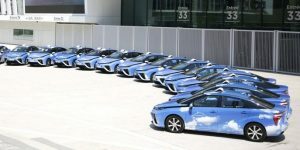 They delivered 101 electric cars of type e6 to Bangkok and a thousand more are yet to come. 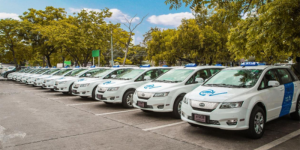 The new EVs will serve as VIP taxis and as part of a car sharing service in the Thai capital. 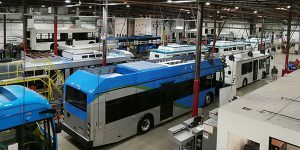 BYD has received the official order from the US state Georgia for the statewide delivery of public transit vehicles, particularly electric buses. 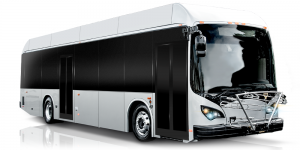 The bid for the supply of buses for the state capital Atlanta was also won by BYD. 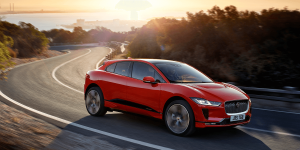 The Munich Taxi Centre (MTZ) has taken on ten Jaguar I-Pace for regular taxi services. The e-taxi fleet of the MTZ was also officially presented today. 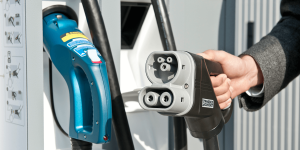 A fluent two-shift system for the taxis was enabled by the installation of a specialized fast-charging infrastructure. Deutsche Bahn subsidiary ioki has launched an individual shuttle service in Hamburg. The on-demand offer complements the public transit by operator VHH and is included in their ticketing. 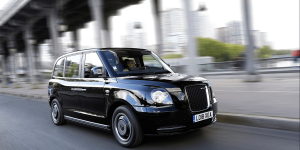 The partners opted for the range-extended electric taxis made by British LEVC. A bit of Britain has come to Germany today as LEVC launches their range extended cab in the country. 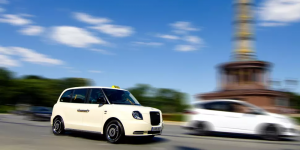 The TX will cost just short of 60,000 euros and LEVC chairman Carl-Peter Forster believes the taxi will soon make it on “many significant markets” worldwide. Seriously. Driving an electric car makes people happy, a study by York University finds. 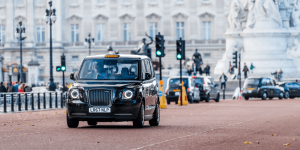 Commissioned by London cab company LEVC, the researchers monitored brain activity of cabbies sitting in diesel and electric vehicles and compared the results. 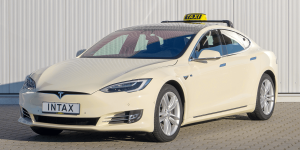 Since 2014 the Amsterdam Shiphol airport has had a 167 vehicle fleet of Tesla Model S taxis. 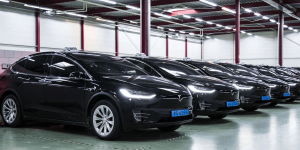 Now the fleet operator, the taxi company BIOS-groep has decided to replace the entire fleet with Model X vehicles. 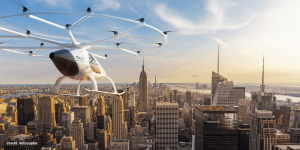 German startup Volocopter presents infrastructure for its electric flying cab service in the making. It consists of so-called Volo-Ports leading to Volo-Hubs, designed to shuttle thousands of passengers through each day. Volocopter wants to launch the first within 10 years. 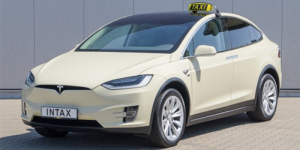 The Dubai cab fleet consisting of 50 Tesla Model X has billed more than 64,000 trips since its inception last September. The transport authority now wants to more than double the fleet due to high demand and clients’ satisfaction. 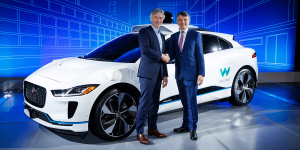 Jaguar and Google’s Waymo have announced a long-term strategic partnership to launch a 20,000 strong fleet of self-driving taxis based on the I-Pace. 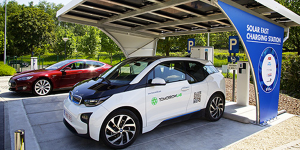 Testing is to start this year with the final autonomous electric cars to arrive by 2020. 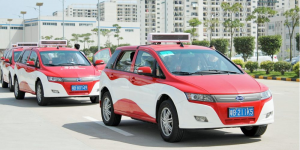 A major Thai vehicle distributor has turned to China’s BYD to deliver a total of a thousand electric cabs to Thailand. 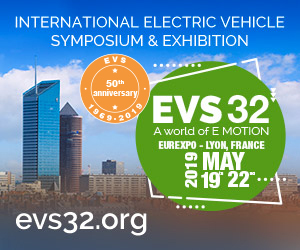 The first 100 EVs are scheduled to arrive this year and are said to have a range of 350 km. The Mayor of London marks the installation of the 100th fast-charging station in the UK capital. 51 of those charge points are reserved for electric black cabs. Also London’s boroughs say they’ve made progress in their patchy EV infrastructure. Ride hailing app provider Uber has launched its EV-only suite in Romania’s capital. 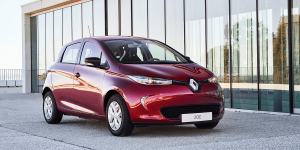 20 Renault Zoe have become available to book in cooperation with charging infrastructure firm ElDrive. 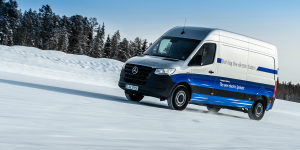 The service is available in selected European capitals. Now that Tesla got its meters measured, Intax has come up with a conversion kit that turns any Model S into a full grown taxi. 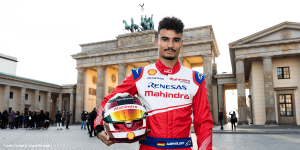 Deliveries have started and Intax acts as direct distributor for cab companies and Tesla in Germany. 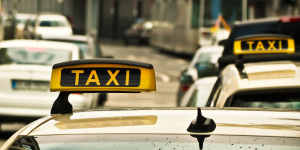 The Irish government is planning to add to its existing subsidy plan in a specific area, taxis. 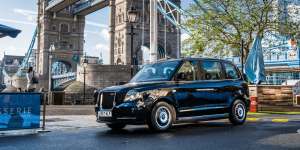 The move is designed to include cab companies into the wider plan to electrify public transport. 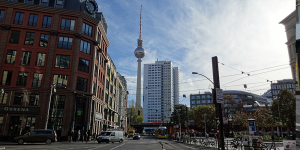 Berlin’s legislative approved a package of measures to improve air quality and to prevent driving bans. The package includes 10 immediate actions such as a further expansion of charging infrastructure on semi-public and private ground. 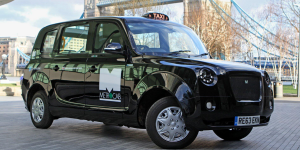 The roll-out of London’s electric cabs is delayed because a fault with the electrics. Not the drive system is the problem though but the fare meter that receives a wrong signal from the vehicle. Chinese city Shenzhen has fully switched to electric buses by the end of the year – and thus ahead of time. Now, its exactly 16,359 buses are probably one of the world’s biggest electric bus fleets. 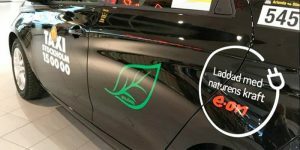 30 Renault Zoe have arrived in the Swedish capital where cab provider Taxi Stockholm is working to electrify its fleet. 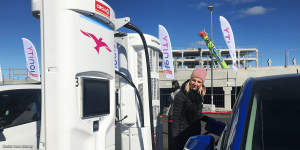 The entire charging infrastructure has been provided by utility E.On and includes the provision of electricity from renewables.